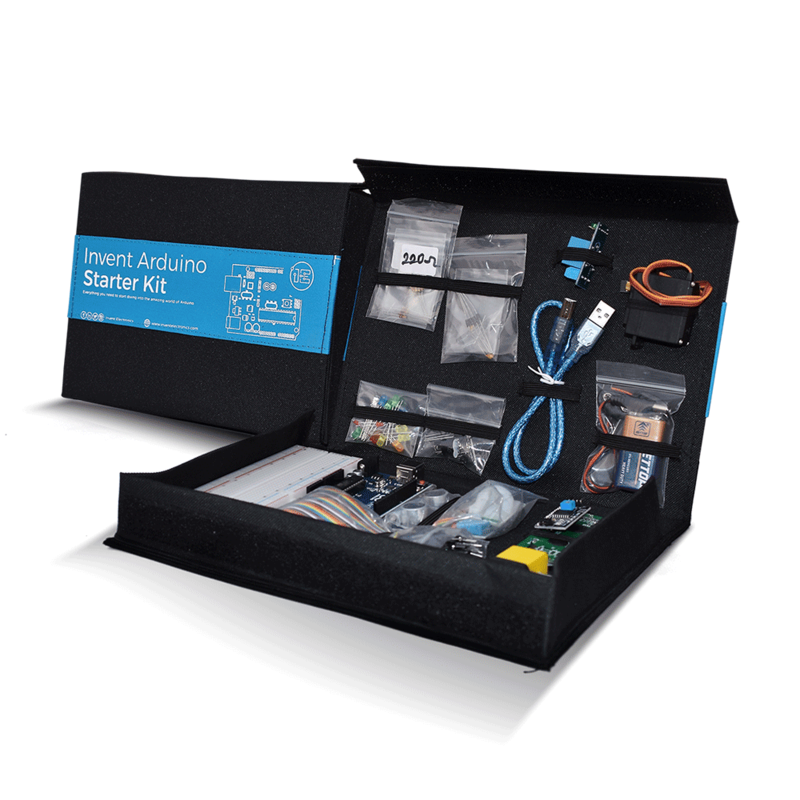 INTRODUCING THE NEW INVENT ARDUINO AMBASSADOR PROGRAM. Happy new year to our Cherished Customers! Lots of amazing surprises coming your way this year. We are very excited to announce that we have completely revamped and rebranded our top selling and well-loved Invent Arduino Starter Kit, adding to it new components, new video tutorials, an attractive new leather packaging, tutorials and more. You can check out what is new here. We want as many people as possible to enjoy discovering the fun and the joy in learning how to program the Arduino microcontroller and build their own projects that is why we are creating the Invent Ambassador Program. The Invent Ambassador Program is a network of students, electronic hobbyists, and enthusiasts who love our Invent Arduino Starter Kit and other products and are happy to tell friends, classmates, and people around them about the kit. This is how it works: We will share with you marketing materials; flyers, posters, stickers, blog posts, videos, etc and other content about the kit which you share with your friends, contacts, and classmates and convince them to get a kit (which costs GHS 250) through you. You then make the order on their behalf from our website and enter a special code we will give you. This will give you a 10% discount on the kit. This means for every kit your friend gets through you, you pocket Ghc25! We have created a WhatsApp group. We’re only making a few slots available so if you are interested, sign up now and we will send you a link to join the WhatsApp community when you are approved.